Ok, so I have to be honest, I have wrestled a bit with reviewing Fiorillo's Pizza, mostly because I used to work at one of the previous pizzerias which operated in the building many years ago. Although I knew the recipes were changed a bit, the pizza still bears a striking resemblance to the prior establishment which occupied the premises. After discussing with a few people over the weekend who debated which pizza was better, I noticed that there must be a distinct difference between the 2 pizzas if people had such strong opinions about it. 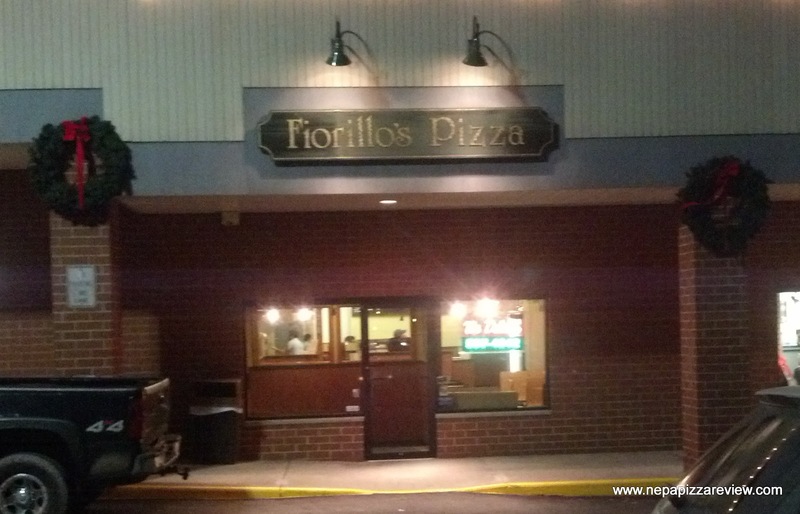 I personally don't know if I've ever had a fresh Fiorillo's pizza in my time, but there was no time like the present to drive there and pick one up! When I walked in, I was impressed with the "new" layout of the dining room and much cleaner and more modernized appearance of the kitchen and counter. I could see the pizzas being made, which is my favorite pizzeria feature that I always reference! I could tell that the pizza guy who was standing in the spot in which I used to stand was very skilled and representing the position well. I won't give him a positive review at first glance though, so it was time to put this pizza to the test! My first impression was that this pizza looked better than the pies I used to serve because the cheese was clearly upgraded, and the sauce just looked vibrant and delicious. The pie wasn't perfectly round, but I'll let that one slide because it's clear that the pizza was well constructed. Now, it was time for the taste test, which is the real challenge. The first flavor that grabbed me was the saltiness of the cheese. It was good, and I enjoyed the texture and quality, but the salt content could have been lower. The sauce was clearly balanced and seasoned appropriately, but was masked by the salty flavor of the cheese. I'd say that the sauce cheese combination was average to slightly above average compared to most New York Style pizzas in the area. The crust was really the drag on this pizza. 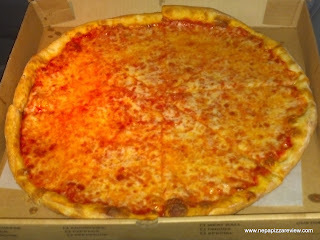 Although is was stretched perfectly even, and had a uniform crust around the outside, the tough, chewy, flavorless, and dry crust was a bit difficult to eat as I found my temples starting to throb after just 2 slices. Don't get me wrong, it wasn't unbearable, but if the dough was a little less dense and had a little moisture and flavor, this could be a very good crust. I would recommend adding some oil to the dough, and mixing the flour in gradually to slowly build fibers while mixing. This would drastically improve the crust and relax the dough to make it more enjoyable. 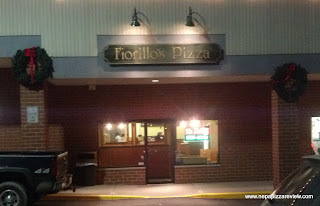 Overall, I have to say I did like Fiorillo's Pizza, and would call this a safe bet if you are looking for a decent pie. It was ready right on time and as fresh as could be. Fiorillo's also delivers, and has a pretty large menu including appetizers, dinners, salads, and hoagies, which I've heard are all very good. So if you are in the Clarks Summit area, it's worth considering among the many other options available in town.